Starbucks has done the loyalty card right. Starbucks rolled their cards out in 2011 (the My Starbucks Rewards™ card) and it has been a big hit ever since. Starbucks has made it easy for customers of any Starbucks brand (i.e. Starbucks, Teavana, La Boulange) to use their preloaded loyalty cards or mobile apps to shop and earn rewards interchangeably. There is a great deal of flexibility of this so-called currency across channels. For example, a customer can earn “stars” (rewards points, in the Starbucks parlance) by purchasing packaged Starbucks coffee at a local grocery store. Clearly this is something that the Starbucks product managers can add to their product manager resume. If you’ve never used a Starbucks card, then you don’t know how easy it is to use. You can either use a physical card or load the Starbucks app on your Android or IOS phone. When you come into a store, you can display the bar code on the card to the cashier, they scan it, and your purchase is paid for. If you are using the mobile phone app, it will show you how much money you still have loaded on your card both before and after your purchase. Starbucks got the card thing right because they made it easy to use. Nobody gives paying for food using their Starbucks card a second thought. When the card runs out of money, it is very easy to reload it and then you don’t have to think about using real money at a Starbucks until it is once again all gone. Over at Wendy’s, the product managers saw what Starbucks had done with some jealousy. They wanted to make purchasing food at Wendy’s just as easy. The other benefit to getting Wendy’s customers to use a loyalty card would be that they would no longer be as sensitive to how much things cost because they would not be using “real money” to make purchases. However, the loyalty card that the Wendy’s product managers have rolled out appears to have missed the mark. 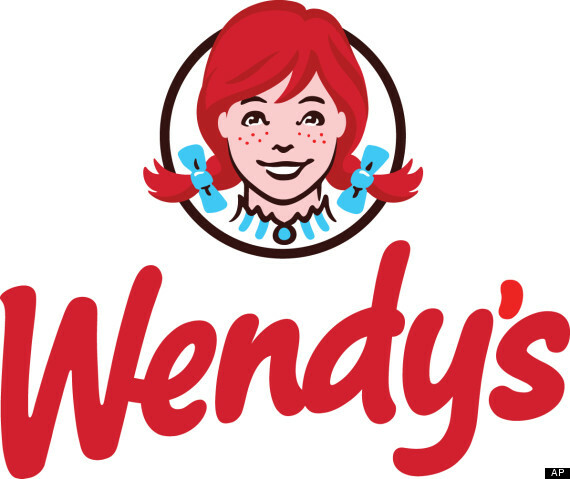 The new Wendy’s program suffers from two fatal flaws: it’s too hard to use and it does not reward customers for using it. The Starbucks card, both the physical card and the mobile phone app, work by displaying a bar code that gets scanned at the store. The Wendy’s system works by providing the customer with a 6-digit code that they have to tell to the cashier. This is much less convenient. The Wendy’s product managers said that they chose this method because they thought that it would be too inconvenient for customers to get their cell phones scanned while in the drive-through where 70% of all Wendy’s orders are filled. The problem that I have with this thinking is that I see Starbucks customers using their bar-code loyalty cards in the drive-through every day. The other problem that the Wendy’s product managers have created is that there is not enough of an incentive for their customers to use their new loyalty cards. Over at Starbucks they have the concept of “stars” that you earn by using the card. Earn enough stars and you get a “gold card”. You can also get discounted or free food items if you use your Starbucks card enough. Wendy’s currently does not have a similar program. Why would anyone use the Wendy’s card? There’s no denying it, mobile apps are all the rage right now and have been added to just about every product manager job description out there.. In the restaurant industry everyone has watched with jealously just how successfully Starbucks has leveraged their loyalty / payment card to boost sales. Over at Wendy’s, their product managers decided that they wanted to see if they could duplicate Starbucks success with their own app. It is looking like the Wendy’s product managers have dropped the ball. Their mobile app, despite having the example of the Starbucks app, does not look like it is going to meet their customer’s expectations. The use of a 4 digit confirmation code instead of a scanable bar code is going to make things more complicated. They tried to optimize their app for the drive through lane, but just ended up making it too hard to use. The thing that makes this such a sad story is that the Wendy’s product managers had a great example of a customer loyalty card that worked: Starbucks. No, they couldn’t copy it exactly, but also they wouldn’t have because a Wendy’s restaurant is different from a Starbucks. However, they didn’t seem to understand how their customers make purchases and their app does not make this easier. Hopefully the programmers who developed the app are still around because they are going to have some changes to make ! Question For You: How should Wendy’s have optimized their app for the drive through lane?